The bifurcator is a traditional European remedy against cancer . 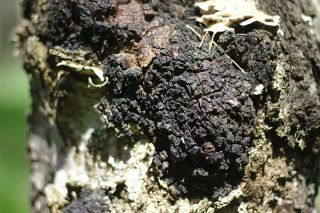 Biologically, the plant is the less dangerous of two common fungal parasites of birch, the other being Piteroporus betulinus , which also has medicinal properties. The sloping stag is found everywhere where birch trees grow - especially in Northern Europe and Russia, where it is also most used. The oblique cutter has anticancer effects ( Zhao2016cci , Arata2016cic and others), specifically against lung cancer ( Lee2014iop ) and MCF-7 breast cancer cells ( Wang2015ctw ). Further studies of the anticancer effects of this fungus are constantly emerging, with recent reviews by Song2013pua .